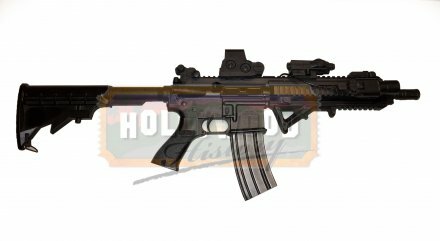 Stunt H&K 416 Assault Rifle [HK416] - $0.00 : Hollywood History Online, Discover the Magic and Bring Hollywood Home! 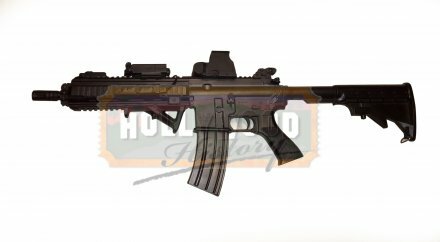 A Stunt Heckler & Koch HK 416 D Rifle with EOTech Red Dot Sight from Michael Bayâ€™s 2014 action sci-fi film, Transformers: Age of Extinction. 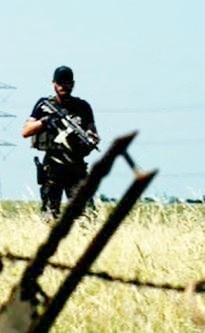 This style of firearm can be seen early in the film being used by members of Cemetery Wind, an elite CIA black ops unit focused on hunting down and destroying all Decepticons. 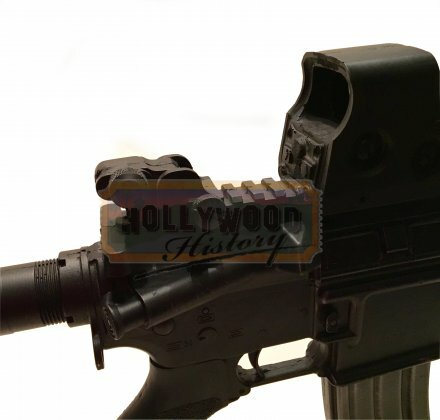 Made of dense foam, this prop gun is cast from the original model and shows the original manufacturers markings embedded on the sides of the prop. 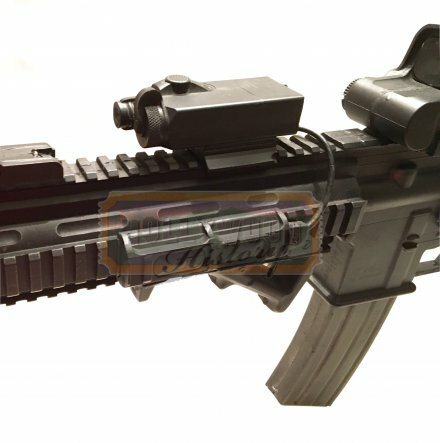 The gun features some modifications, including the EOTech Red Dot Sight and a Surefire X300 weapon light.